The history of Britain is a rich and colourful one, taking in plagues, fires, triumph, deceit, murder, glory, exploration and discovery. BBC History Magazine brings the story of Britain to life. From the first humans, through the mysteries of Stonehenge, invasion by the Vikings, 1066 and the Normans to Tudor Kings & Queens, the Industrial Revolution, the World at War and so much more! This special edition is an insightful and educational look at 5,000 years of British history. 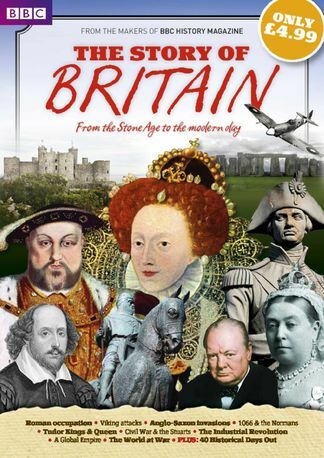 Be the first person to tell us what you think about BBC History Magazine presents The Story of Britain and you'll save $5 on your next purchase!